February 9, 2019 at 1:15 pm PDT May contain affiliate links. Read disclosure. Deals start 2/10. Listed below are the best deals for the week of 2/10 – 2/16 at Target. If you need to see the ads for week 2/10, click here. 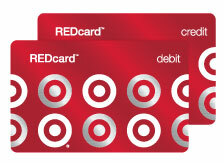 If you haven’t already Click Here to Sign up to Target RedCard for Free (Debit or Credit Card) to Save an extra 5% on all your Target purchases. Plus, as a RedCard holder, you also get Free Shipping on all online orders. And you get extended returns – An extra 30 days to return stuff. Sweet! I love your weekly videos. Can’t wait to see you give us lots of deals. Hi Linda! I’ll be working on some new videos soon! Just popped in to see if you were still around. Have been missing your videos. Hi Heather! I’m still here! I’ll be doing videos again soon. Thanks for asking!